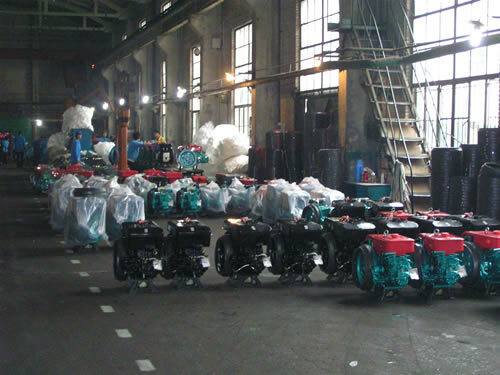 The Laidong company is a very well respected organization that produces engines in quantity for the Chinese military. 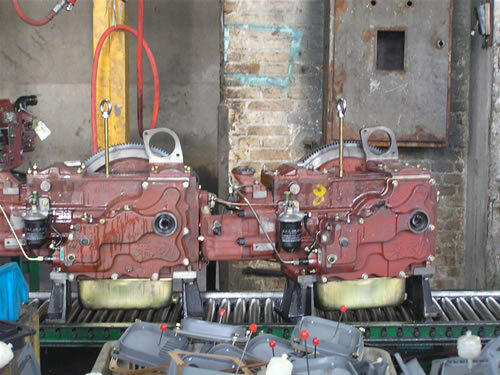 These engines can be expected to be of the best quality and are projected to last for many years with proper maintenance. 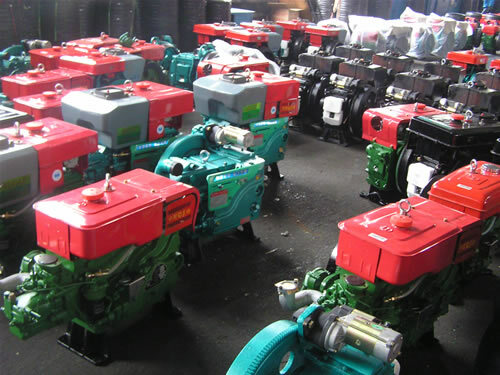 The single cylinder engine is a Yanmar-type and is designed to give 20HP at 2200 rpm or for our purposes, about 14HP at 1800 RPM, thereby making it an ideal candidate for direct connection to a 4 pole generator head. 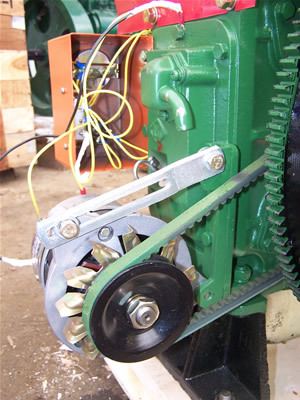 The engines are supplied in a single ball bearing single plain bearing type with an onboard diesel tank, forced water cooling via an integral water pump and a 12 volt starting system. 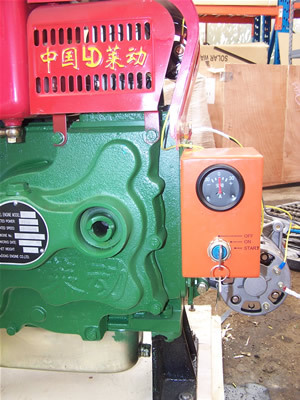 They do not have a cooling hopper mounted on the engine as shown in the picture – you will need to supply a cooling tank. They are a direct injection engine but can easily be used with alternate fuels. The 385 engine is a modern style (think tractor engine) running at 1800 rpm and comes with electric start, SAE # flywheel shell, 7.5” flywheel, radiator, exhaust and air cleaner. The engines are tier 4 EPA approved. 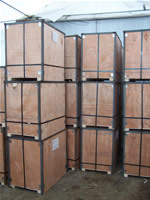 The engines are nicely packed in a plywood box and reinforced with angle steel on the sides and top for added strength. In order to get the box open, first undo the metal strapping and clear it out of the way. Next, pry up the angle steel (it is not fastened at the bottom of the box) and lift it clear in one piece. Then remove the 8 metal corner tabs. If you can, get a pry bar down past the top of the box and pry the top off. This may not be possible and you may have to cut the sides away to gain entry. Remove the top and sides and clear them out of the way. The engine should be fastened to the bottom of the box by 4 bolts, leave these in place for now. 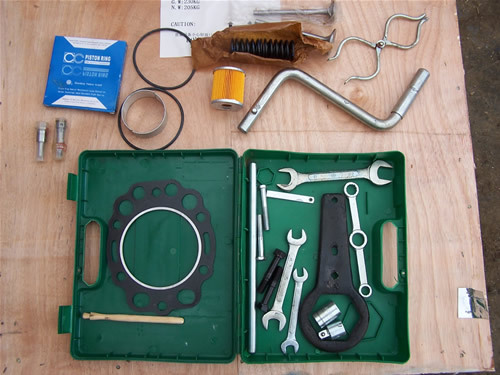 Remove the tool kit and the remainder of the engines parts – exhaust, air cleaner etc. so that everything is clear. Next – on to first smoke! 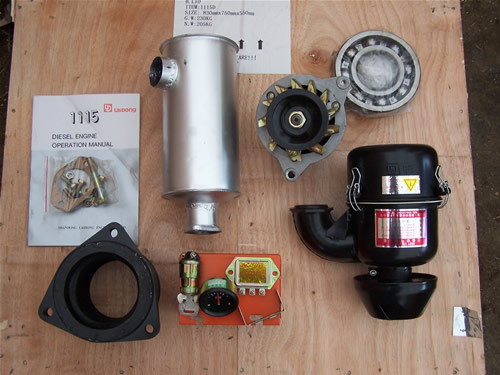 The engine comes with all the component parts but no wire, so you will need to provide that yourself. The wiring itself is fairly simple, just follow the diagram contained in the box. In this example and for display purposes only, I have attached the orange box containing the start switch and ammeter to the engine itself – likely it will be better to remote mount the box. 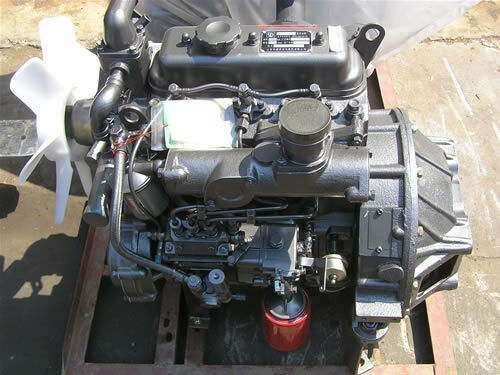 The sump on these engines takes about 3.5 litres of oil – I am using 30 weight non-detergent for the first little while. The oil will be changed at 10 hours, 25 hours, 100 hours and after that every 250 hours. Before attempting to start I turned the engine over by hand a few times to flush oil through the system. For cooling in this case I merely attached a short length of hose, filled it with water and looped it back to the upper water port on the engine block. Enough water for a short initial run. A few ounces of diesel in the tank, a bit of fuel line bleeding and the engine is ready to start. For a battery I used jumper cables attached to my trusty fork lift.